Ching Valdes-Aran is an OBIE award-winning and Lucille Lortel nominated actress. She has worked intensively in NYC on Broadway, Off Broadway, Off-Off Broadway, and in major regional theaters throughout the U.S. She also has guest starred on TV (Nurse Jackie, Ugly Betty, L&O CI) & appeared in major & indie films. 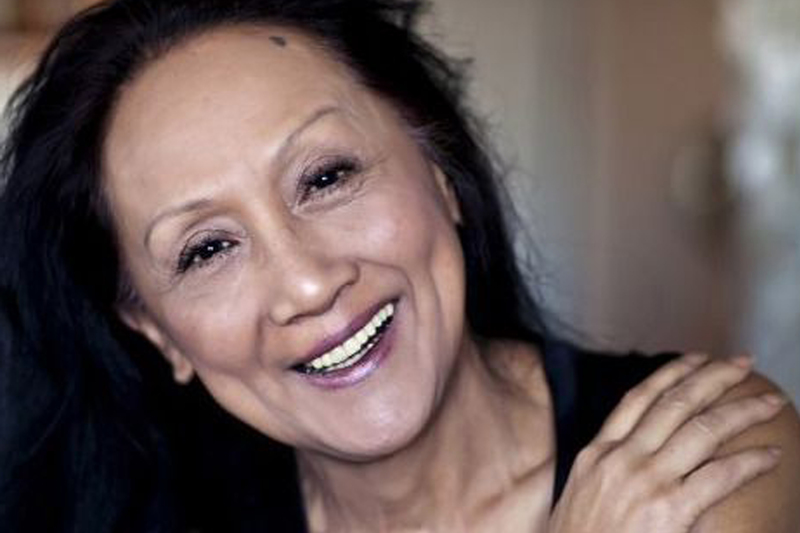 Ching has directed, danced and performed in many international festivals (Berlin, France, Italy,Greece, Vienna, Rumania, Israel, Caribbean & Shoutheast Asia). She is currently filming in the Philippines in Lav Diaz’s “Mula sa Kung Ano ang Noon”. Other awards include: FOX Foundation Fellow, MAP Rockefeller Grantee, Asian Cultural Council Fellow, PACCAL Award for Leadership in Arts & Culture, Ma-Yi Award for Artistic Excellence, Lilah Kan Red Socks Award, Charles Bowden Award (New Dramatist), Spenser Cherashore Award, & the U.S. Congressional Award in Arts & Culture. She is a member of the Lincoln Center Directors’ Lab, NYTheater Workshop’s Usual Suspect, Actors’s Center Workshop Company and serves in the advisory board for Ma-Yi Theater Company. As a visual artist she has participated in several group exhibits in NYC including La Mama Galleria, She had her NYC solo art exhibit at the Philippine Center Gallery last October 2012. Her first solo art exhibit was at Sining Kamalig Gallery in the Philippines in 2009. Her paintings are currently in a Hell’s Kitchen Painters group exhibit at NYPublic Library and in October will share an exhibit with her niece, Nicole Valdes Schorr to open July 14-Aug 8th 2014 at Philippine Center on 46th St. & 5th Avenue.